Rabbi Asher Crispe is the Executive Director of Interinclusion.org, a social mosaic which perpetuates the arts, sciences, literature, and music through Jewish tradition. He is a technology expert and futurist as well as a media aficionado with a knowledge of emerging developments in science and the digital universe. 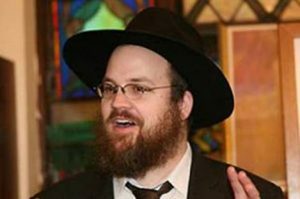 With over 20 years of experience as an educator, Rabbi Crispe regularly travels the world as a speaker / lecturer teaching in Jewish centers and academic institutions. He specializes in illuminating the arts and sciences through the lens of the Torah. His lectures have focused on: music, film, architecture, gender theory, psychology, education, economics, regenerative medicine and physics. Additionally, he has served as a consultant for innovative financial, medical, and technological projects and currently directs Vermont Future Now, a civic innovation network focusing on the future of education, healthcare, energy, jobs, and government in the state of Vermont.